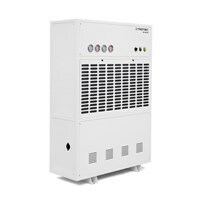 312l/24h dehumidification performance and suitable for rooms up to 3,200m³ - DH 115 S! Most powerful in its class with 485 l /24h dehumidification performance - the DH 145 S! 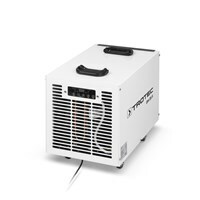 The Trotec dehumidifers of the DH-S series protect your production or warehouse environments of industrial, logistics and suppliers from corrosion and condensate. An effective humidity control prevents condensation, mold or corrosion damage. This increasing reliability of electrical systems, optimized process conditions for manufacturing and production as well as stable climate conditions in warehouses or archives. 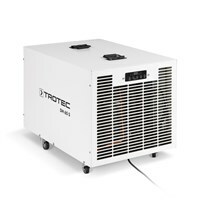 The industrial dehumidifiers of the DH-S series are exclusively available from Trotec!